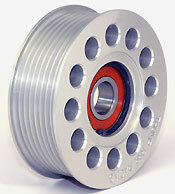 Heavy Duty CNC Machined Aluminum Pulley. 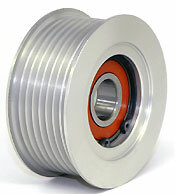 Surface hardened with anodized clear coating. 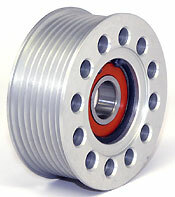 Can be used in either the tensioner or idler position. Works on both 6 and 8 rib setups.